It is a well-known fact that increased weight is the root cause for many health issues including chronic diseases, fluctuation in blood parameters and even, obstructed body movements. If remain unchecked, these problems affect lifestyle deeply requiring lifelong care and management. Vijal Shah, a 42-year-old Mumbai based businessman, was facing similar issues when Truweight happened to him and rest is history. He lost 18.5 kgs weight in the time span of 5 months. Here is his story in his own words. Before joining at Truweight, I was struggling with many health issues like high blood pressure, varicose veins, knee pain and migraine. I was worried, as with the passage of time my knee pain was getting worse with no signs of improvement. Truweight vs other weight loss companies: What makes the difference? Unlike other weight loss programs, Truweight taught me the importance of a balanced diet. Through Truweight, I learnt that a healthy diet should focus on all nutrients to be consumed in specific proportion for avoiding many health complications in future. The best thing about Truweight is ‘No monotony’! With different diet phases, I still cannot believe that it’s been 151 days. It feels as if I have just started. In fact, with the help of the customized diet plan, my craving for junk food has completely stopped now. Also, the dietitians at Truweight are really supportive, motivating you throughout the weight loss journey. It is amazing after shedding the significant weight of 18.5 months in just 5 months. I feel more healthy and confident. Even, my fitness level has improved considerably. Superfoods are actually the ‘Super Duper Foods’. These delicious treats are the key to your healthy weight loss. Specifically, their product ‘seeds-cocktail’ is a nutritious mixture of many seeds that aids your efforts to a healthy lifestyle. “I want to say one thing. I am a very foodie person. And hence when I started the Truweight program I thought I wouldn’t be able to follow for more than 2 to 3 months. That’s because I always thought diet is all about drinking sour juices or to do fasting. But with the diet which I got in Truweight, I never felt bored and going to successfully complete 5 months. I find these diet most healthy and tasty, so I never feel I am on diet”. 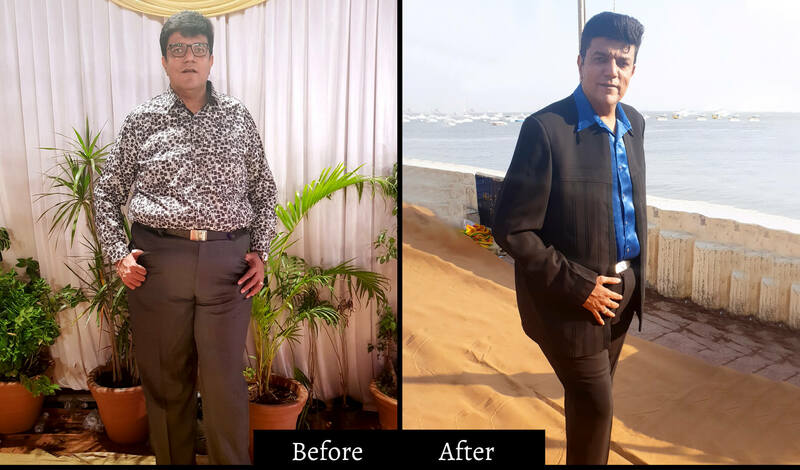 Gone Madhukar lost 14 kilos in just 5 months! Gunjan lost 15 kilos and fought different health issues!